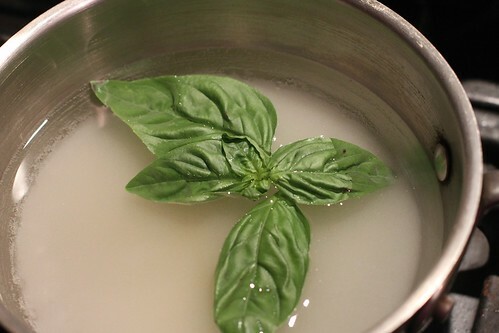 Make a basil simple syrup: put the water and sugar in a pot over medium heat. Bring to a simmer to dissolve all the sugar. 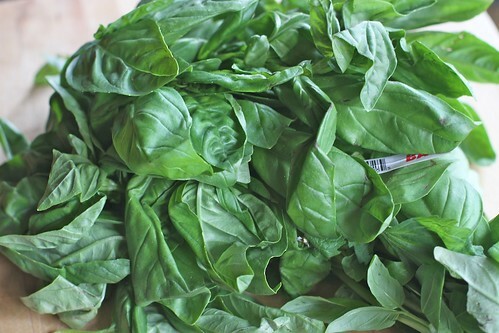 Once the sugar is fully dissolved, take the pot off the heat and stir in the basil leaves; let steep for 30 minutes. Strain out the basil and chill the syrup. 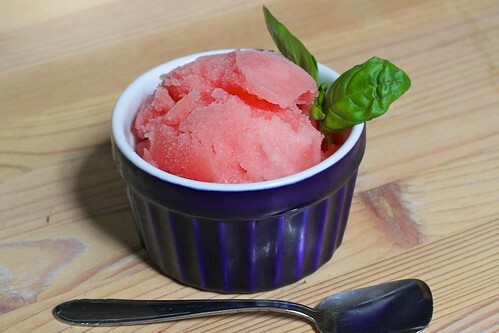 Put the sorbet base together: Puree the watermelon in a blender and measure out 3 cups of watermelon juice. 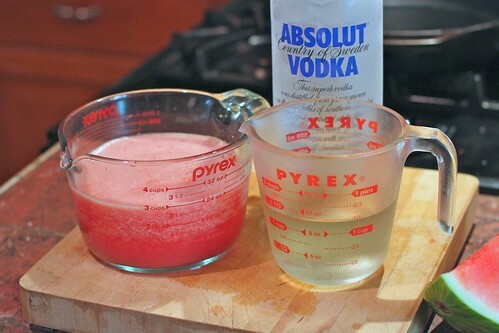 Whisk in the vodka and 1 cup of your basil syrup. Chill thoroughly. 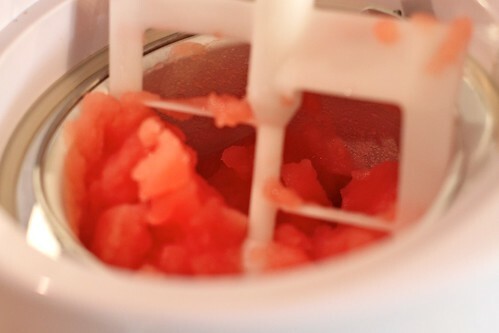 Churn: Freeze the mixture in your ice cream maker according to the manufacturer’s instructions. 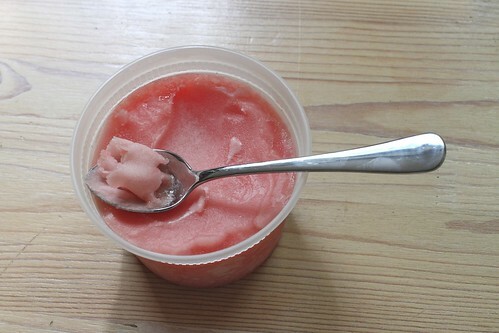 Transfer the sorbet to some tupperware and freeze, prefreably overnight. It will freeze up pretty solid, so you might not get pretty little scoops when you serve it, but man is it delicious and refreshing. OK, NOW I’m going to finally get that ice cream maker – that looks irrestistable! 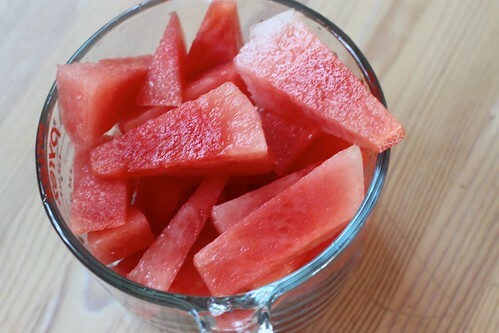 I’m already OD-ing on watermelon weekly, just a new delivery system.